Losing body fat is simple, but that doesn’t make it easy. The mechanisms of fat loss are clear, yet many of us struggle to maintain a healthy approach to improving body composition. We have explored the effects of sleep on fat loss, found those hidden calories and started to build healthy habits in how we eat. Each of these habits addresses an aspect of lifestyle and behaviour that will set you up for sustained results. It’s easy to map this stuff out, make a plan, and then execute – but what commonly trips us up? We rebound, get frustrated, reset the plan, and this loop continues. The relationship between our food choices and behaviour are scuppered when we take hunger into account. Addressing hunger, and planning in advance, is the key to your fat loss journey. We have all experienced periods of time where hunger has driven us to seek out quick sources of energy. These quick sources don’t typically include broccoli. They usually come in the form of bars, croissants, chocolate, cake, crisps and so on. In other words, highly-palatable, quick-to-grab, energy-dense food. We are wired for homeostasis. Our bodies don’t want to change. Hunger is driven by a combination of psychological and physiological factors. Our external environments can influence our hunger levels. Our internal environments can too. The smell of fresh bread and croissants, or feelings of boredom or sadness can all have an influence on your hunger levels. Take leptin and ghrelin, two hormones that are associated with hunger. The former decreases hunger, whilst the latter increases hunger. Layer these factors on top of one another and there’s a complicated mixture of factors involved in your hunger levels. Hunger – what do we do? With that in mind, what steps can you take to ensure hunger doesn’t become the bump in the road for you? We need to tackle this issue by considering both the internal, and external environments. For this article, let’s start with the types of food we choose to eat. We all know there’s a big difference between 250 calories from chicken and 250 calories from whey protein. We generally feel fuller, for longer, when eating whole food versus liquid. Therefore let’s stay in the category of eating whole foods. But which ones? Solution 1 – GI index? The traditional approach to tackling this issue has been to focus on foods that are low on the glycemic index (low GI). Low GI foods deliver a slower blood-glucose rise, which prevents a rapid decrease and keeps hunger at bay. Which sounds good in theory, except the original research on the glycemic index was performed solely on carbohydrates alone. Once you add fats and protein to the mix, you cannot predict the blood-glucose response. A 2015 study demonstrated a unique individual response to the same meal. Some participants were more sensitive to the carbohydrates, and some to the fat. I alluded to the main focus above: satiety, in other words feeling full. Enter the fullness factor (FF). The FF was created following earlier work by Holt et al., in 1995 on the creation of a satiety index of foods. The FF is a measure (0-5) which predicts how satiating the food will be. The idea behind this increased satiation rides from the basis that foods with a higher nutrient content will be more nourishing for the body. White bread, for example, sits at 1.8. Therefore, anything higher than 1.8 will be more filling and create fewer opportunities for hunger to strike, than eating white bread. Foods that sit above 2.5 include chicken breast, fish, sirloin, baked potatoes, oatmeal, carrots, oranges and watermelon. The human body is made up of from 45-60% water, depending on gender an numerous other factors. Many of us don’t drink enough water throughout the day and become dehydrated. We mistake this dehydration for hunger. Water intake varies on the individual, but shoot for 2-4 litres depending on your gender & activity level. This solution sits in a similar camp to ‘Fullness Factor Foods’. 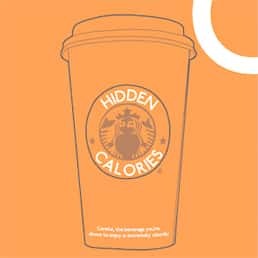 Calorie density refers to a food’s calorie content in relation to its weight. By choosing foods that have a lower calorie density, we can feel fuller for longer as we consume a greater volume of food increasing the required time for digestion. Hunger is influenced by both psychological and physiological factors. Ghrelin is one of those key influences. The main function of ghrelin is to increase our appetite; your stomach secretes it when it is empty. The higher your levels of ghrelin, the hungrier you will feel. If you are in a deficit, your body is essentially telling you to eat more, to maintain homeostasis. This isn’t very helpful if your goal is to lose body fat. Eating foods that sit high up on the Fullness Factor scale will help you feel fuller for longer. Let’s recap some of our other tips from previous articles. If you’re enjoying these articles, let us know – and sign up for our email list below, we will be sharing more in-depth articles, tips, and advice.